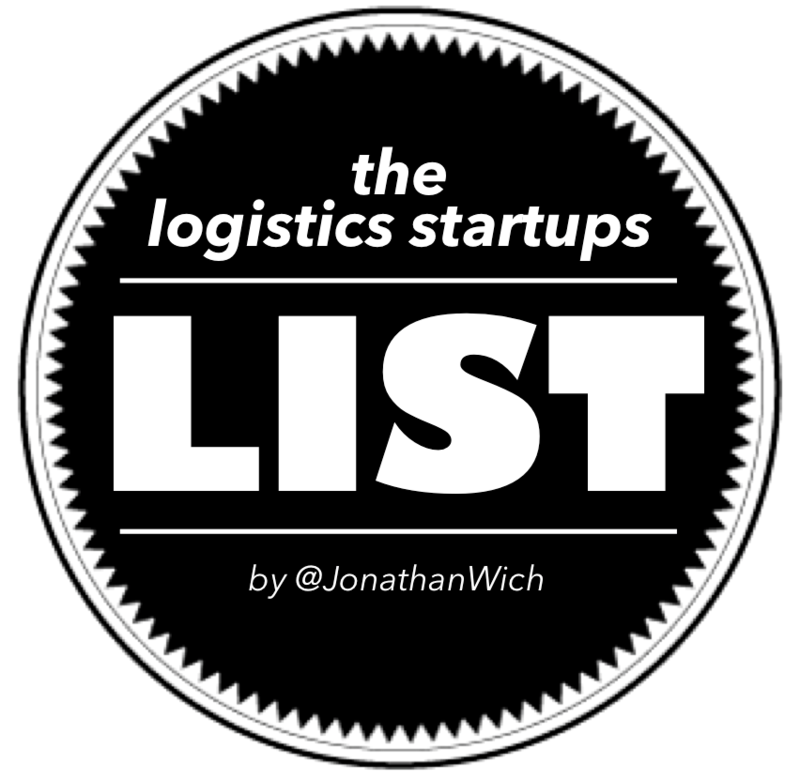 Therefore, I’ve created the following list with the most promising logistics startups. One or more of the startups on the list might just end up making a huge difference. Among others, Tom Stitt (also featured via Staxxon), Christian Vizcaino (CEO of Shipster, also featured on the list), Juho Makkonen (Sharetribe) and Jeremiah Owyang (Crowd Companies) have been very helpful in compiling the list. Check out the Google doc made and maintained by Crowd Companies to see how the logistics startups have been funded. It’s pretty massive already. Leave a comment below. I’ll review, add and credit you. Matternet is a transportation system made up of Unmanned Aerial Vehicles (UAVs), landing stations and routing software. The system aims to transform the way we move goods locally, starting with the pharmaceutical delivery market in areas inaccessible by traditional infrastructure. 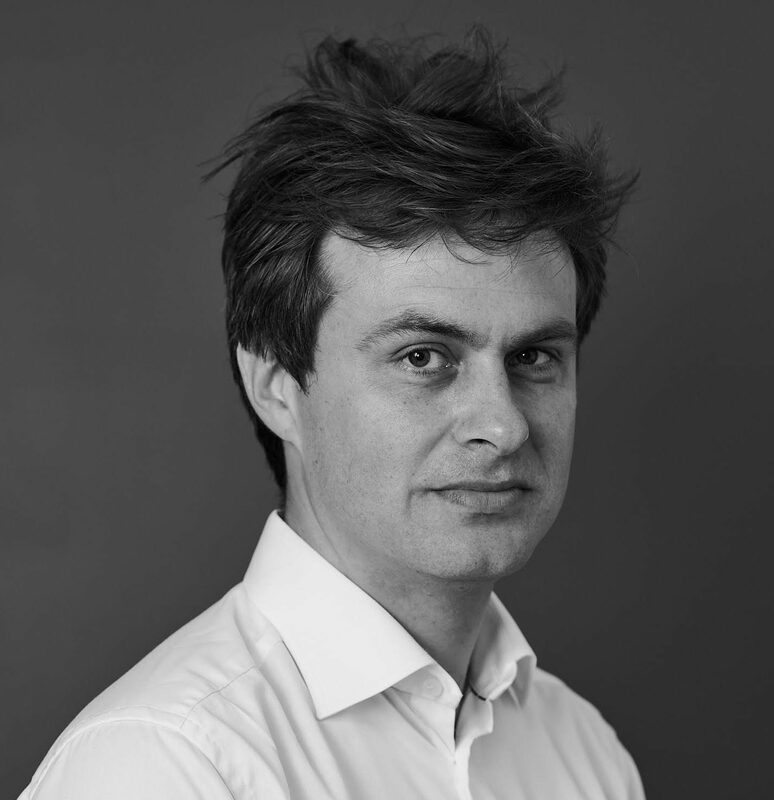 Click here to watch Matternet CEO Andreas Raptopoulos’ TED Talk. The New York Shipping Exchange (NYSHEX) is an innovative exchange portal created to reduce the uncertainty for shippers in the volatile spot market. Essentially, NYSHEX offers a new way to trade ocean freight digitally. They’ve already completed a Series A round of funding totalling $13 million. Uber’s first stab at a global logistics service – so far only available in Hong Kong. With UberCARGO, a van arrives wherever you want it to be in minutes. You can load your items in the back of the van yourself or request the driver’s assistance. Deliveries can be tracked in real-time through the app, the item’s location can be shared with the recipient and, if you want to, you can choose to ride along with your goods. Food for thought. Agree that a few succesful startups would start a revolution for a very old fashioned industry. It will be interesting to watch fromthe front seat! We’re thrilled to be featured at the top of this list, Jonathan! An honor to be included! Thanks for compiling this great resource. hello from Istanbul and thanks for the above lists regarding logistics industry.I have just published a website kind of truckers,movers related search engine namely http://www.youship.org . As i’m not so good at designing and got no programming knowledge, any advise or any offer on co-operation is welcome. Good list. Consider including http://www.transporteca.com – a Danish startup offering automated pricing and online bookings of LCL with freight forwarders. Hi we are the new kid on the block called SpotOpp. We help air travellers to save on excess luggage fees using crowd shipping. Add us to your list. effimat.com is a Danish startup, and producer of automatic storage units. A new take on traditional warehouse storage – also the only Danish producer of storage units (yes, I work there) the concept behind effimat may cause massive changes in this business niche (re. point #3). Hope you will check them out and consider them for your list. What are your thoughts on uShip? Great list. Consider including http://www.xeneta.com – a Norwegian start-up. We’ve taken out the hassle of analyzing ocean freight rates by putting it in one single location with an easy-to-understand interface, so that companies shipping cargo using containers can start benchmarking their ocean freight rates on thousands of trade lanes. We’re already the world’s largest ocean-freight benchmarking community. ShipHero http://shiphero.com which is my company and is a warehouse management system which enables an easy to use and understand management of inventory, cycle counting and order shipping with the mobility and ease of use of iPods and iPads. For 3PL, FBA with their reach needs to be on the list. For 2 Day Air shipping they can get items delivered cheaper than many small companies could with their non-discounted rates and single warehouse location. Google Shopping Express. As a local store or online retailer I suddenly can compete with Amazon on delivery times within my region and it doesn’t cost me a penny. Thanks a lot. Will have a closer look and revise the list yet again! Super interesting list! there is so much happening in the this space! What about B2B warehousing / storage ? Any disruption there ? It might also be an idea to include some educational blogs and institutions that serve the shipping, freight, maritime and logistics sectors..
Hi Hariesh. I will certainly consider it. They have to be startups though. Also, I plan to review the whole list pretty soon. Are the categories right? Are the existing startups still active? Etc. Thanks for the suggestion. Hello, Jonathan, I like the categories I think they can be a little more inclusive perhaps adding a category for logistic enablers/horizontals…a couple of startups in IOT space, automation not just logistic providers…but overall great capture! Thank you for this list, Jonathan! Which conferences do you recommend for learning about new ideas in logistics? Thanks, Bettina. You should add http://fulcrumapp.com to your list. You can plot custom maps, collect information, and create custom reports easily. It has a free trial and the plans are pretty affordable for a field or road team. Worth checking out Fulcrum. I would encourage you to consider http://www.veritread.com. VeriTread is The Heavy-Haul Marketplace and specializes in bringing shippers together with a qualified network of carriers. Hi! I would encourage you to check out http://www.veritread.com. VeriTread is The Heavy-Haul Marketplace and connects shippers to a network of qualified carriers. It’s fast, easy, and free to post a shipment. Thanks for the suggestion. I just added Veritread to my list! Please add ‘Roadie’ to your list, thanks! Please add Purplu Logistics to your list. http://www.purplu.com is a real time last mile tracking tool. We provide a 24 hour tailor made app that reads barcodes professionally, letting operations and logistics managers know exactly who, when and where their goods have been delivered. Will check-it out with designers. Thanks for the feedback! Thank you for the post about the logistics, it was very interesting and informative. What about route optimization? Also small companies have logistics issues that can be helped by simply using a route optimization tool. This start up http://www.myrouteonline.com saves drivers, owner operators and logistics departments time and money. Please add ‘logistitrade’ to your list, thanks! Logistitrade.com is an online platform for members to connect each other and develop partnerships to further facilitate operations in an International transport & logistics environment. Hi Jonathan – any feedback adding Logistitrade.com to the list ? Thanks. Hi, Would you also consider http://logistitrade.com/ a Swiss startup ? Looking forward reading the latest updated list – Thks. Drew, Is there any app/ Interface with client system for tracking the shipments of Shipper company, which will be taking long lead delivery time, about 70 days. Hi Ari, you can check out http://www.got-freight.com as a track and trace mobile app. We are currently in beta testing stage. Very useful list! Would you consider including http://www.milkman.it ? It’s an Italian startup, by the creator of Viamente (now Workwave Fleet), that offers a wide set of customized delivery options, including narrow time windows and then fulfills orders through his own fleet. Great list! http://www.got-freight.com would be awesome for this list too 🙂 We are currently an easy to use track and trace app. Our development team is working on integrating more incredible features to be added in the near future. Finally found some time to review your app. It’s been added to the list! How can we add our company Truelines Group For Logistics , Kuwait in this list . Please add wishmove to your list. http://www.wishmove.com is a application / app mad by movers for movers. This is a good list. Is there an updated list? Any of these companies have opportunities in Atlanta, GA? We have cargo vans and straight trucks. We are also from shipping and logistics business solution can you add our company http://www.processweaver.com into your list. The logistics business is highly regulated and is still hardware driven which makes it difficult for startups to survive. However, a number of startups have created their niche and made their presence felt in recent years. Some of them are: – Freightos Freight Filter Xeneta Shiphawk Shipster. Hi, very useful list, thanks for updating so frequently. Do you may know the time horizon over which the startups emerged? It seems as en incresing trend, do you approximately know at what point of time that trends increase rapidly (if it is so?). As I am doing some study of the developemt in logistics and your list was the best I found! Fantastic list! Flexport, Shippo, and Shipbob have been very helpful to us as we got started and we found them on your list! We would love for you to review us: http://www.shotput.com. HI! Might I suggest adding http://metrocombined.com/ to the list. It’s a logistics company located in the Philippines. They could cater to your forwarding may it be land, sea and even air. They could even take care of your goods for you with warehouse services with a good system being praticed in the business. Thanks! Hi, we’re the largest marketplace for design furniture and ship hundreds of small and large items every month from various locations in Europe to US customers. Who of you offers a solution to make this process more efficient? who offers the best solution to ship large items (furniture etc.) from various locations from Europe to the US? Great list indeed, and it is certainly a thrill to see our age old industry opening up to new possibilities. I do believe this is just the beginning of a very long journey. If interested, possibly add http://www.cold-truck.com, an online trade platform for used truck and trailer refrigeration units, as well as reefer containers. This unique tool enables global trade of these units which are regulatory exempted from the developed world, and highly required in the developing world. Cold Truck has brought the cold to the web. Thank you for the list. Good to see, that there is something changing in the old school logistics. I recommend to add http://www.trucksonthemap.com to the list. We are a start-up from UK (London) aiming to reduce empty freight runs by providing transparency. We have created a “TimeMachine” to look for empty trucks at any time, anywhere on a online map. TrucksOnTheMap is the first truck-availability-map which visualizes all your and your haulier’s free trucks in the future, for a much quicker and more efficient truck booking. Which insurance companies offer services for crowd shipping companies? Good job, bringing in startups and logistics company in a platform. http://www.sirlindia.com is biggest player in India. Millions of tons of goods moved across India. We have been working with industry to develop CargoHound http://www.cargohound.com/ for over 3 years and officially launched in the Australian and New Zealand markets 12 months ago. The largest truck load board from the Middle East. You could add “Cargobase” to your list too! Thanks. Cargobase is a platform for ad hoc freight where companies buy and manage freight services from pre-screened providers. It operates as a global network of providers that gives companies access to air freight services. Cargobase aims to solve a growing problem in the logistics industry – under-optimised, inefficient, and high-cost ad hoc freight management. This process would improve shippers’ efficiency in ad hoc freight management – greater control, higher transparency, higher cost-savings. It allows shippers to compare quotes across their selected LSPs. Add one more to your list. HelpShip, shipping center and freight forwarder providing complete solution for all International and Domestic Shipping. Hey Jon, what do you think about an updated post on this topic? A lot has changed in this landscape since Jan 2014. New players and others on the list struggling. Some have changed course (and name) while others are just plugging along. Our European quarterly magazine Supply Chain Movement is very much on top of this topic, since the last year. We are planning to create an overview of start-ups in logistics & supply chain. This could be the update to your post. Hi Tim. I’ve now done a major update of the list, incl. adding 6 new companies and removing 9… You are right. Many things are happening. Some are giving up, some have been acquired. I wonder how all this great crowd source work is going to keep the criminals from taking advantage of it? As decentralized as this is it could be a haven for the bad guys. So if this not closely scrutinized by the industry (as say the AMA does with their docs) we could find a heavily regulated industry again and just by the dot. This is a great post. Very very useful. Thanks for sharing. Great work, Very substantive and interesting list. Would request you to consider adding our company shipwaves.com in your comprehensive list. Shipwaves is an end-to-end online ocean logistics platform catering to the needs of importers and exporters from India and globally in the near future. We are one of the pioneers within the Indian Logistics space. Thanks Jon ! Really appreciate it. Very interesting list! Here comes a friendly request to add CargoBeacon – aiming to be the simplest to use and most cost efficient solution to actively monitor goods during shipment. Currently being tested and tailored for use by several bigger industrial companies. Thanks for including Shipwaves in your comprehensive list . In a very short time span we manage to establish Shipwaves in India . In 2017 our focus will be to extend our network out side India . We are open to connect with other start up in the list to support each other . Great blog with some very nice companies! Very inspiring. makes logistics tendering easy and time-efficient. Visit our website http://www.tendertool.com to learn more! Axion Logistics – Your Integrated Logistics Solution Provider and much more. Great article with some great insights and compilation of the best in industry. India also has seen a huge growth in number of startups in the logistics sector.With an increasing number of e-commerce startups, SMEs , 3PLs the demand for logistics services has been ever increasing. Some of these startups have taken a step ahead and are working towards acting as an aggregator between shippers and truckers. They have made booking a truck/shipping vehicle as easy as booking an Uber for a regular city commute. Some others in the league are Truck Sumo, Black Buck, Porter , Delhivery, Ecom express, Opinio etc. I am writing my Master thesis on new business models changing the freight industry and your list has been extremely useful to start my work! In fact, I would greatly appreciate if we could get in touch by email to discuss the topic? Also, I just finished researching trucking startups and would like to point out that “Convoy” has been operational in the USA since 2015, and “Truckola” in India also since 2015. Very good content. Thanks for posting! Good list! I could recommend this platform https://www.6connect.biz/ also for ad hoc freight where companies buy and manage freight services from pre-screened providers. It operates as a global network of providers that gives companies access to air freight services. Thanks for providing this list, although it’s some years since you published the list first time, lots of the companies have grown further and experience traction in the market. Great work! BIZCARGO is an online platform to search and compare the best transport and logistics services with multimodal and door-to-door solutions, where clients request free quotations manage bookings and follow the execution. Very good list of startups, congrats for the job and thanks! It’s an informational content. Thanks for sharing this list. Well, when we are talking about start up logistics. There are many logistics firms, which are contributing alot in trading sector. Very useful article and thanks for sharing so many companies information. http://www.forestshipping.com is quite a nice freight fowarding company as well. You can get free freight quote from them in about 24 hours. And there are special offers every week.